Domestic abuse, most often brushed under the carpet, locked behind the doors of the home, never spoken about, hidden behind shaking smiles in the hope that one day it will be ok and everything will go back to the time before the abuse started to happen!…. Unfortunately, in most cases, the abuse never stops, in most cases the abuse escalates to even higher levels, often the abuse moves over from one family member to others and sometimes even continues across generations, when the abused become the abuser ! 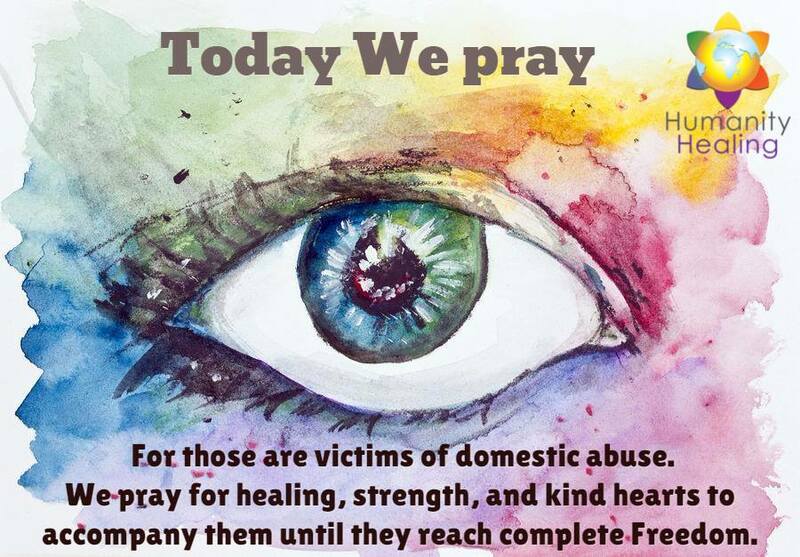 Today, I pray for all the victims of abuse. Abuse can come in many forms, physical abuse, mental abuse, sexual abuse, confinement abuse etc. No one, No one deserves to be abused! No one should be treated without respect! No one should have to live in fear! If you are in a situation of abuse, then its time to speak out….. If you know someone who is abusing others then it’s time for you to speak out…. If you know someone who is being abused, then it’s time for you to speak out…. Let’s make this world a better place for all to live, without the fear, without the pain….living as we all should, living with love and happiness! ← Help Others Because You Can!